And as on all Southern Crossings tours, you’re taken care of from beginning to end: Domestic flights and airport pickups are included! 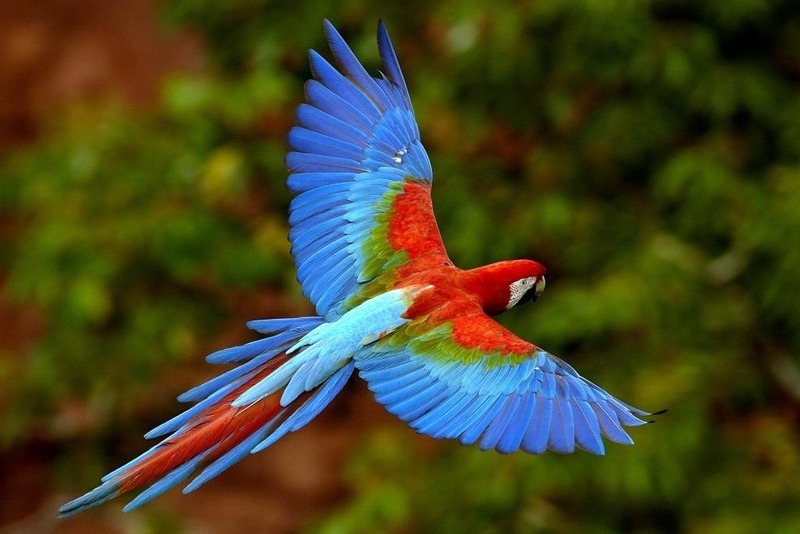 Depart any day and customize your Brazil tour at no extra charge! Please note that these prices do not apply for Brazilian Carnival February 21st – February 26th, 2020. See and live the best Brazil has to offer on this incredible twelve day tour that takes us to the most spectacular spots in this incredible country! We visit the exotic city of Rio de Janeiro, including an excursion to the Christ the Redeemer statue, one of the New Seven Wonders of the World. 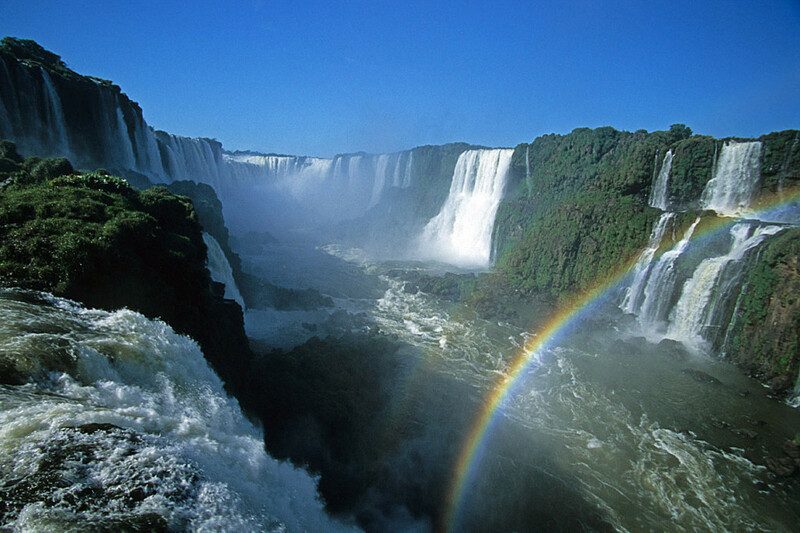 Then head to breathtaking waterfalls of Iguassu in the south as well as seeing the falls from the Argentinian side. We then go on to the jungle city of Manaus, for a totally different and unique experience with 2 days in the incredible Amazon rainforest and we finish off your adventure with a visit to the beautiful city of Salvador da Bahia to see on of the oldest colonial cities in South America. Day 1: Arrive Rio de Janeiro. Day 2: Private Sugar Loaf Mountain tour. Day 3: Private Tijuca forest and Christ Statue excursions. Day 4: Flight to Iguassu Falls and free afternoon. Day 5: Private full day Iguassu falls tour (Brazilian & Argentinian side). Day 6-8: Manaus jungle excursion. Day 9-11: Salvador da Bahia. Arrive in Rio de Janeiro anytime today and private transfer to your hotel. If arriving in the day, there will be some free time to go out and get acclimatized to the city. If arriving late at night, you will transfer to your hotel for some rest before embarking on the tour. This morning we visit Corcovado Mountain to visit one of the seven wonders of the world, the Christ the Redeemer Statue. This tour begins in Cosme Velhos neighborhood from where the cog train starts a trip through the Tijuca Forest, the largest urban forest in the world, up to the Christ the Redeemer statue that stands tall over the city of Rio de Janeiro. Once there, take in and enjoy a panoramic and extraordinary view of Rio, see the Sugar Loaf, the Guanabara Bay, the beaches of Southern Zone and the Rodrigo de Freitas lagoon. After the visit of the Corcovado, the tour will continue to So Conrado area with a brief stop at the Pepino beach. In the afternoon we visit the famous Sugar Loaf Mountain by cable-car. The cable car trip is in two stages: The first goes to Urca Hill, 220 metres high, and then a short walk to the other side leads you to the second station for the next part of the ride, up to the top of Sugar Loaf itself. From at 396 metres high, there we can take in some spectacular views of the surrounding sights and of the ocean bay. We will also get a better, clearer look of the Christ the Redeemer statue on the other side of the town. The top of Sugar Loaf has been landscaped and includes several pathways and a bar. At the end of the afternoon return to our hotel. This morning private transfer to the airport in time for the domestic flight to the Iguassu falls. Then check-in to your hotel and have the rest of the day free to relax and explore. After breakfast your guide will pick you up at the hotel for a half day tour to the Brazilian side of the magnificent Iguassu Falls one of the world’s most beautiful and spectacular natural spectacles. Following the walkways that border the canyon of the Iguassu River, it is possible to observe hundreds of small waterfalls until where the last fall Floriano Falls is reached. There you will have a complete frontal view of Devils Throat. In the afternoon we’ll visit the Argentinean side of the falls, offering us a different perspective of the waterfalls. We head into Argentina through the Tancredo Neves bridge, built on the Iguassu River. Trails through the 55.500 hectares reserve (30 km far from the Hotel) provide the pleasure of a different, more complete view of the falls, specially the biggest one, the Devils Throat. Lower and upper walkways permit a closer look at the waterfalls. Transfer to the airport for a flight to Manaus in the Amazon rainforest, depending on the flight time, there may be time in the morning to do some independent exploring before the flight. We arrive in Manaus and transfer to the Anavilhanas Jungle Lodge, a drive of approx. 3 hrs. On arrival a welcome drink will be served for us before a brief orientation. After dinner we head out at night in search for the caimans and other nocturnal wildlife. We wake up early this morning and set off on a jungle hike to spot wildlife and view the beautiful and exotic flora and fauna. We head back to our lodge for lunch and then set out to the Amazonian Dolphins and handcraft studios and experience the wonders of the Brazilian rainforest up close. We transfer back to our lodge in the late afternoon for dinner. Another early rise this morning to go see the sunrise over the beautiful Manaus river on the backdrop of incredible jungle scenery, then we continue on our journey and go bird-watching to see the incredible number of birds in their natural habitat. We return to our lodge for breakfast and then continue with our tour, going piranha fishing in the morning. After lunch we set out on a more cultural excursion to see how the natives in the jungle live, we visit typical houses in the Tiririca community where we can appreciate the local customs of the indigenous jungle community and get an incredible and intimate insight into their daily lives. We return later to the lodge for dinner. After breakfast, we return to Manaus city in time for the domestic flight to Salvador da Bahia, also known as Brazil’s capital of happiness. After arrival at the International Airport of Salvador. After checking into your hotel you´ll have the rest of day free to explore and rest. Today you´ll tour the largest and best preserved complex of colonial architecture in the Americas. We start in the modern suburb of Barra at the mouth of the Bay with its famous lighthouse and followed by visits to the Pelourinho area with the largest and the best preserved complex colonial architecture in the Americas, the church of São Francisco, the finest example of of Baroque churches in Brazil with its exuberant gold-leafed Baroque interior. We then head to the Pelourinho district, walk through the narrow, cobbled streets lined with fine colonial houses painted in pastel shades to the square, the heart of the old town. Return to your hotel in the afternoon. Free day today to explore the beautiful city of Salvador da Bahia, you can visit the incredible markets and have a chance to try the delicious Bahia cuisine. All good things must come to an end, and today you´ll have a private transfer to the international airport. If you have some time before your departure, feel free to do some independent exploring before heading to the airport. International flights can leave any time today. 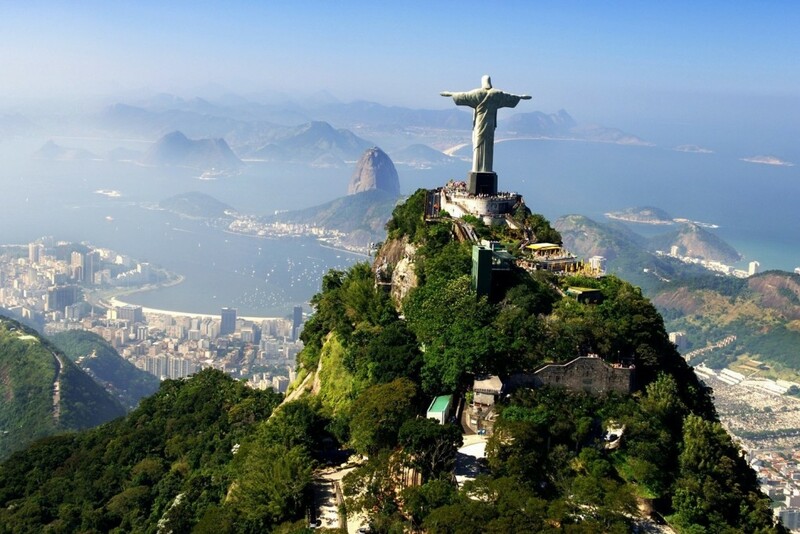 Discover Brazil is a twelve day tour which includes walking around several sites and a visit to the Amazon rainforest, which will involve boat tours. Some walking around on city tours and other excursions is included on this trip. On all Southern Crossings tours, you are met at the airport by one of our representatives (holding a Southern Crossings placard), who will accompany you to our joining hotel. No bargaining or being swindled by airport taxis. International flight to/from Brazil, domestic flight back to Rio de Janeiro at the end of the trip, pre- & post- tour accommodation, visas, vaccinations, personal insurance, meals except where specified above, drinks, laundry, souvenirs, tips while on optional excursions and other items of a personal nature. Medical travel insurance is not included through Southern Crossings, cancellation insurance is advisable. This tour includes 4 star hotels. We would be happy to give you an upgrade to 5 star hotels. If you would like to select a specific hotel let us know your preference. We can then work it into your custom itinerary. It is best to bring from home such items as prescription medications, eyewear and care, unusual film and camera batteries. Rio de Janeiro: Rio has a tropical savanna climate that closely borders a tropical monsoon climate and is often characterized by long periods of heavy rain from December to March. In inland areas of the city, temperatures above 40 °C (104 °F) are common during the summer, though rarely for long periods, while maximum temperatures above 27 °C (81 °F) can occur on a monthly basis. Nights are cool in Rio. Iguassu: Iguassu Falls experiences a subtropical climate with abundant precipitation and high temperatures year-round. Salvador da Bahia: Temperatures are relatively constant throughout the course of the year, featuring warm and humid conditions. The driest period is in February and the wettest months are May to July. Manaus: Rainfall is common all year round. Average annual temperature is 26.6 °C (80 °F), with more or less consistent temperatures all year round. All travelers to Brazil are required to have a passport valid for at least six months from date of entry. Visas are not required for U.K., New Zealand and most E.U. passport holders (excluding Cypriots, Maltese, Estonians and Latvians). A visa is required for U.S., Canadian and Australian citizens. U.S. citizens, please visit the U.S. state department website Canadian citizens, please visit the Canadian State foreign affairs website and Australian citizens, please visit the Australian department of foreign affairs website. For other nationalities, please consult the nearest Brazilian embassy or consulate. An onward ticket and proof of funds may also be required at entry and should be available to show to immigration. Traveler’s checks, currency, or a bank statement, from the bank or printed off the internet, are sufficient for proof of funds. Brazil is listed by the World Health Organization (WHO) as endemic for yellow fever. Some airlines may require passengers to present a valid Yellow Fever Vaccination Certificate before being allowed to board flights out of the country. If in doubt, check with your airline. If you have travelled to a country that is considered to be in the yellow fever zone, you will need to show proof of vaccination at the border of Brazil, failure to produce a valid vaccination card may result in refusal of entry. Travelers may wish to receive hepatitis vaccinations and should be current on all other standard vaccinations. Please consult your physician or local health department for more information. All travelers to Argentina are required to have a passport valid for at least six months from date of entry. Visas are not required for E.U., U.S., Canadian, Australian or New Zealand passport holders, For US citizens see here for more information: https://travel.state.gov/content/passports/english/country/argentina.html. Traveler’s checks, currency, or a bank statement, from the bank or printed off the internet, are sufficient for proof of funds.